The following blog post was written by Krystalyn Jones, MBA Class of 2019, who spent the summer as a summer associate in Johnson & Johnson’s Experienced Commercial Leadership Development Program. 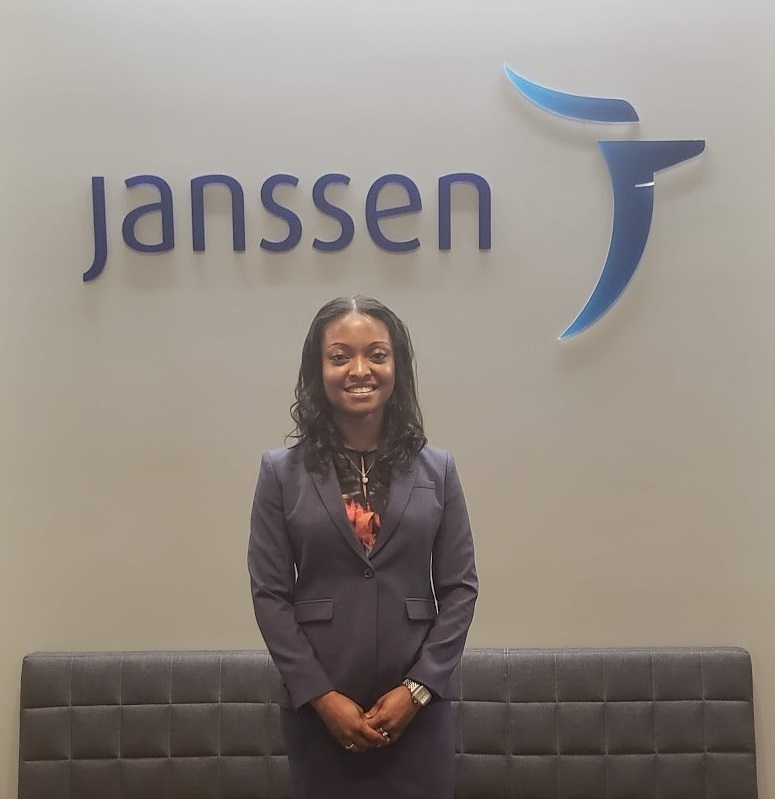 One of my proudest accomplishments was securing an internship at my dream company: Janssen Pharmaceutical, a Johnson & Johnson company. After months of résumé editing and mock interviews, I was able to relax and celebrate this great milestone. But soon it was time to begin strategizing about how I could be successful over the summer. Receiving an internship offer is the beginning of a new and exciting opportunity to explore and expand your skill sets and to align your core competencies to your future employer. Most internships are between 10 and 12 weeks long, so it is important to hit the ground running. After completing my internship, I reflected on a few best practices I could offer for future interns. Although I was in the healthcare space, these strategies may be applied to any industry. Below are four lessons I learned during my time at Janssen that will help you excel at your MBA internship. Understand your internship program and project expectations. A true understanding of your summer project expectations, both written and unwritten, is critical to receive a positive rating. Keep the lines of communication open with key stakeholders, including your direct manager, internship program administrator, and anyone else who makes employment decisions, so you can measure your performance and make any adjustments in real time. Develop a list of questions that will help you get clear answers on your project deliverables and identify the appropriate frameworks to communicate your findings in a clear, structured fashion. After you have identified your project’s objectives, share your strategy with your manager and keep him or her updated on how your project is progressing. If you are not sure which direction you should take, ask for your manager’s suggestions on how to fill gaps in your project plan. To develop the best strategy, it is important to understand your company culture. For instance, is the environment collaborative? Or is the expectation for you to utilize independent or school resources to answer difficult questions? Lastly, develop relationships with contacts across the organization to understand how your project fits into the larger organizational goals. There is no substitute for great performance. Once you have developed your strategy and reviewed it with your manager to ensure you are on the right track, it is time to execute it efficiently. This is sometimes easier said than done during a roughly three-month internship because you must also balance networking events and other internship program obligations. Some strategies to help make execution easier include utilizing firm-provided templates and frameworks and viewing sample internship presentations from previous summers. Pressure test your project in each round of revision by asking yourself questions you think your manager or final presentation audience might pose to make sure you’re as prepared as possible. Finally, once you have a solid draft, be sure to communicate your progress with your manager weekly, if possible, and perhaps even more frequently when you get closer to your final presentation date. Remember: there is no substitute for good performance. Last but certainly not least, be confident! If there is something you don’t know, confidently state that you do not have the information yet but you are planning to uncover it, and if appropriate, ask your manager where a good place to start might be. In addition to providing a great work product, your manager wants to know that he or she can rely on you in high-pressure, high-stakes situations. When you are feeling less than confident, which is completely normal and human, be sure to leverage Simon classmates, faculty, and staff who can help you through any difficult scenarios you may be facing. Every internship is different, so be sure to apply these strategies in a way that works best for your environment. Best of luck in your future internship! Please feel free to contact me to let me know if any strategies were helpful.